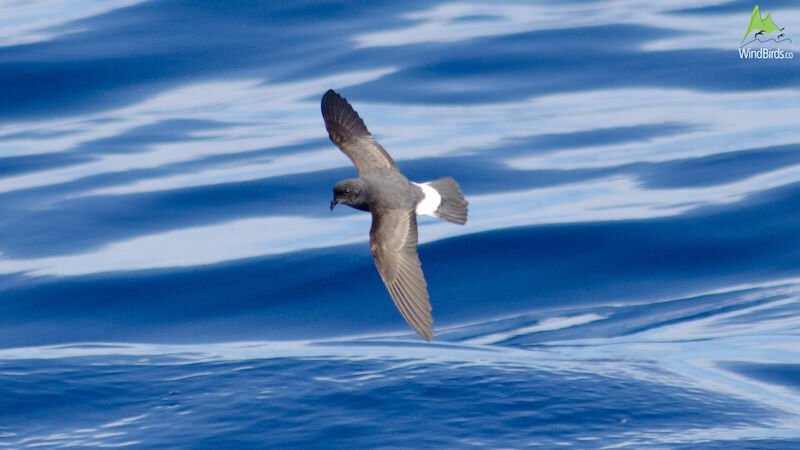 The European storm petrel is a very small seabird and the smallest of the storm-petrels. 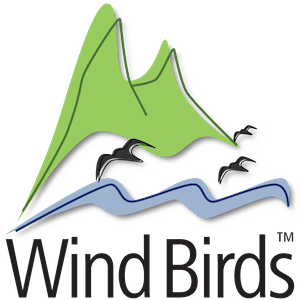 It has a small head, short neck and short body though broad, rounded wings and tail. This is a black and white bird. Its body is dark brownish-black with a white underwing and a white U shaped rump when seen from above that extends to the sides and is visible underneath. It may resemble a bat flying with its fast and continuous wing beats with only short glides. 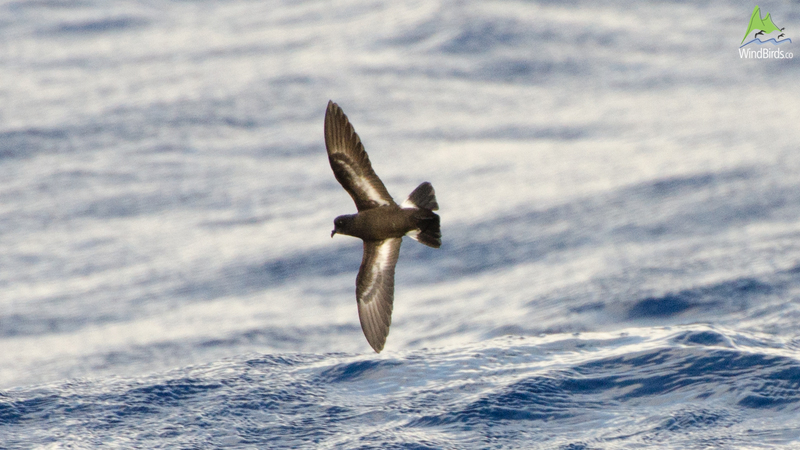 Due to its small size it is very distinctive though sometimes maybe overlooked in a group of Wilson’s storm-petrels. 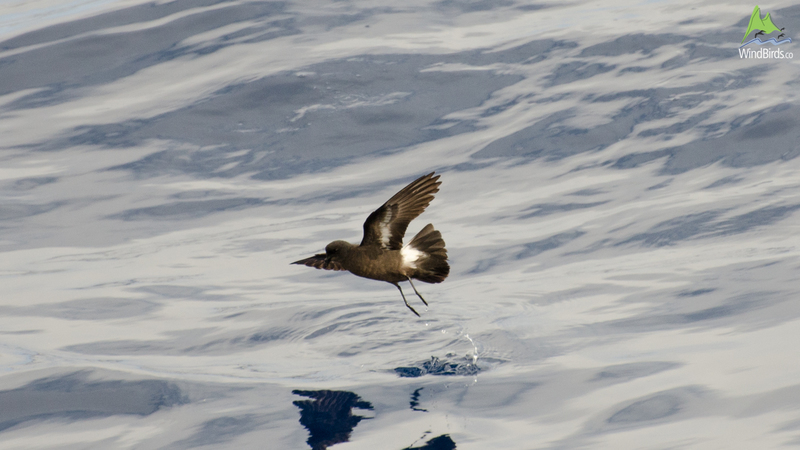 Its underwing white bars and its broad tail with no toes projected beyond it are key features to distinguish it from Oceanites oceanicus.